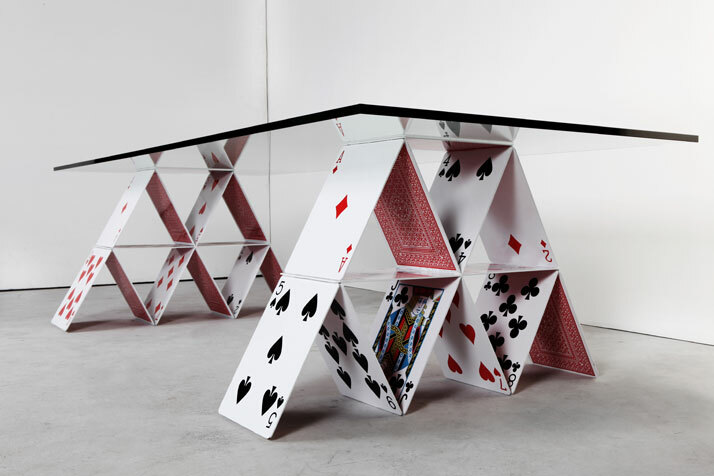 The House of Cards Table is a piece of furniture that addresses topics such as lightness and instability, but with sense of humor which is a mark of the work by Brazilian designer-architect Mauricio Arruda. The idea of his latest design, apparently simple, has lived for years in his imagination untill today! 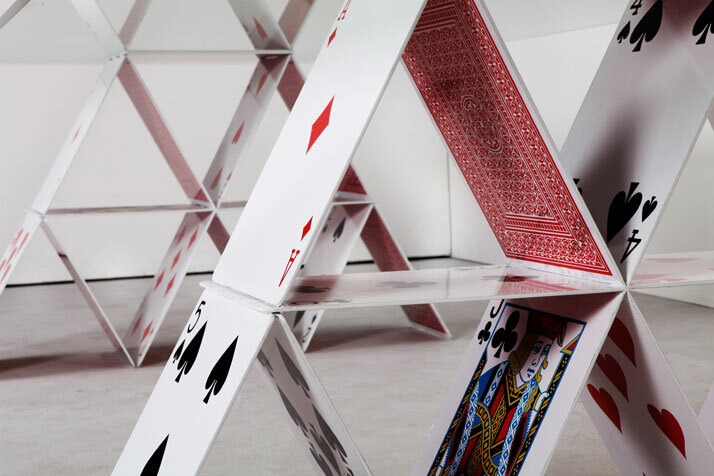 The game house of cards is part of most people's imagination and its image is so familiar that it is impossible to believe that there is someone who would not identify it. 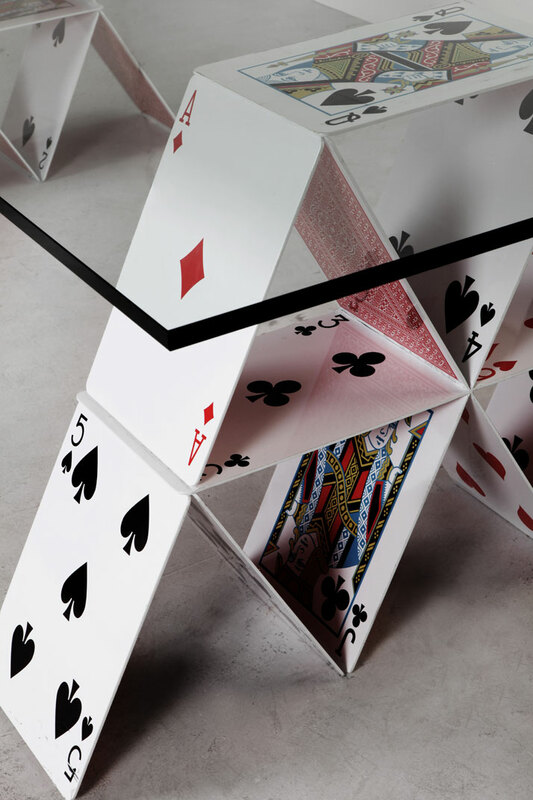 Part of the fables and children’s universe, a house of cards is light, unstable and falls apart with a puff of air. 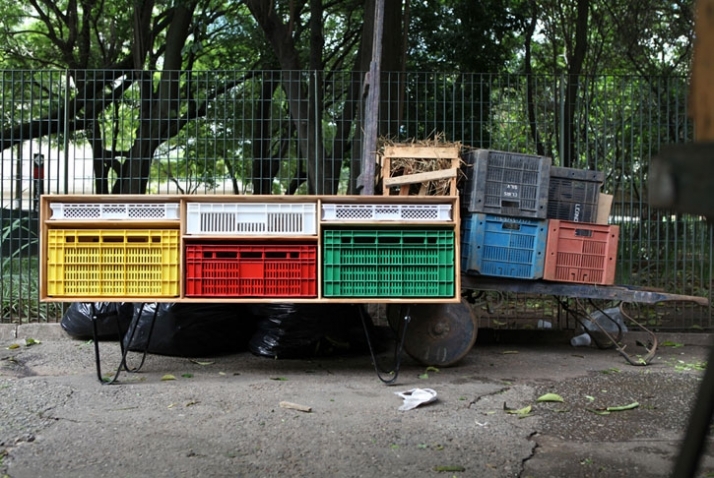 The piece plays with that image when proposing a sturdy table made of steel capable of supporting up to 250 kg tops. To manufacture the table, it is used a process of laser cutting 4mm depth steel plates. This technology created a perfect reproduction of a deck of cards in scale 13:1. 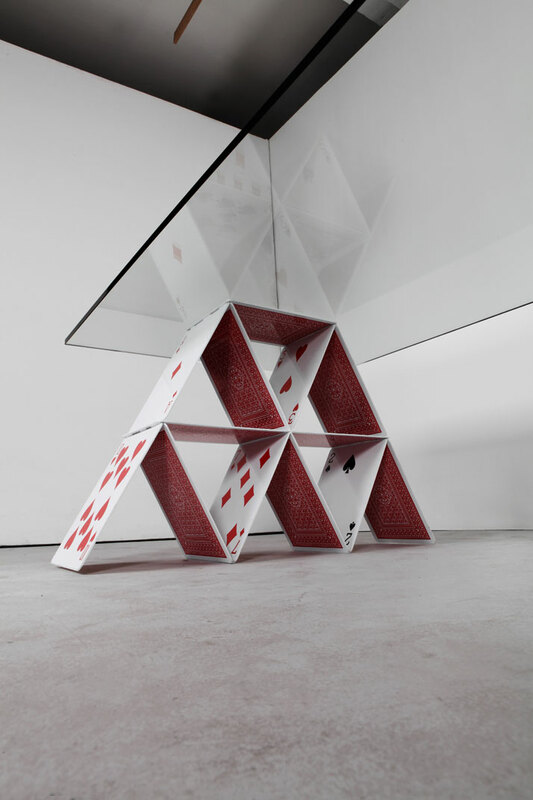 Subsequently, steel cards were welded one to one forming a second-°©âstory house of cards that serves as an under frame. These frames feature a versatile look to the piece, since they are capable of supporting different sized tabletops. The design options were made to accommodate form 6 to 10 seats . 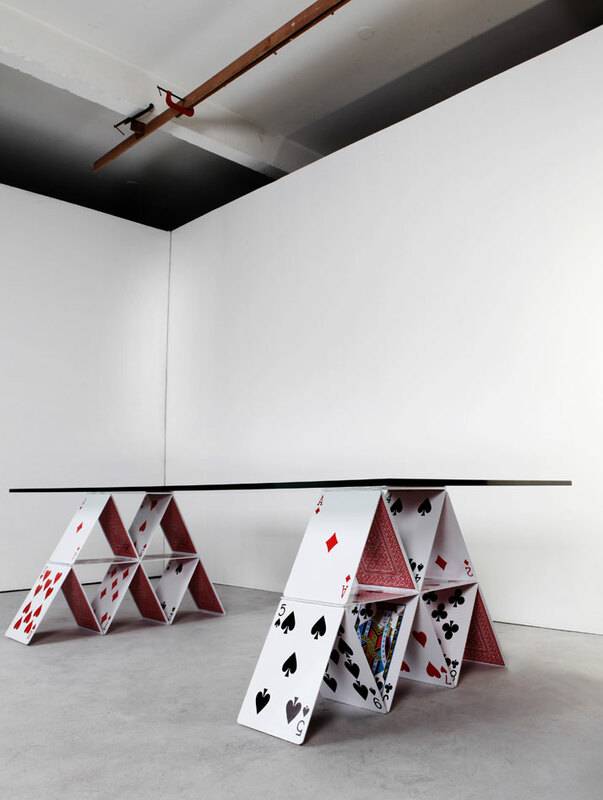 The images of the playing cards are printed individually in the plates of steel, which allows each table to have a different configuration, becoming single pieces. 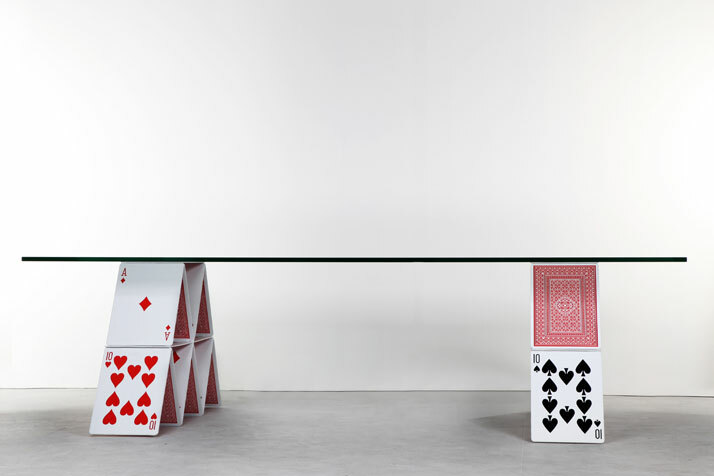 They are assembled like a house of cards in a real cards game, where each piece is drawn randomly.